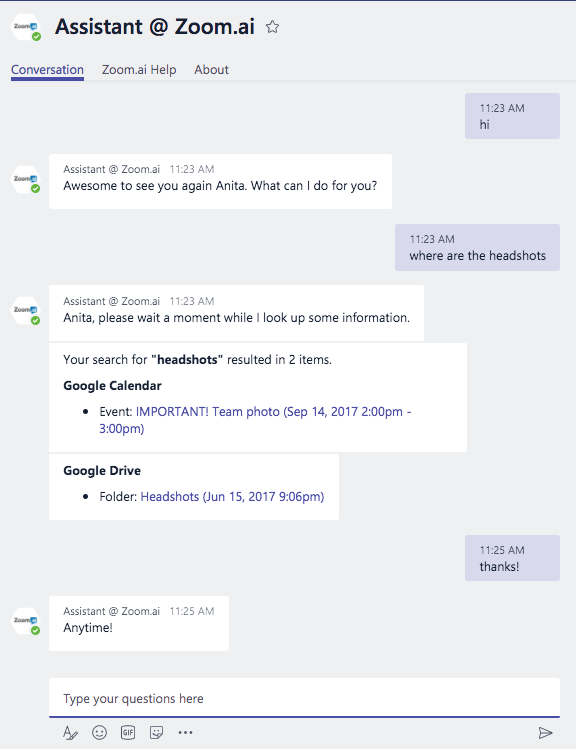 Zoom.ai’s unified enterprise search feature is the most secure way for you and your employees to quickly search across their work apps. Enterprises on the cloud have multiple sources to store their information – Google Drive, Microsoft OneDrive, Dropbox, etc., and searching for information can become a time-intensive task. Many times, the answers you seek are stored on different systems with different interfaces. Trying to remember how to navigate through them all can easily become a nuisance. When is my next meeting with Jackie? Where are the company logos? Where is the NDA file from last month? 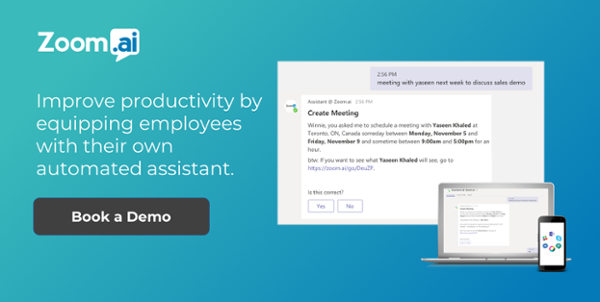 Further refine your search by adding add date and person filters to limit what your automated assistant brings back to you. 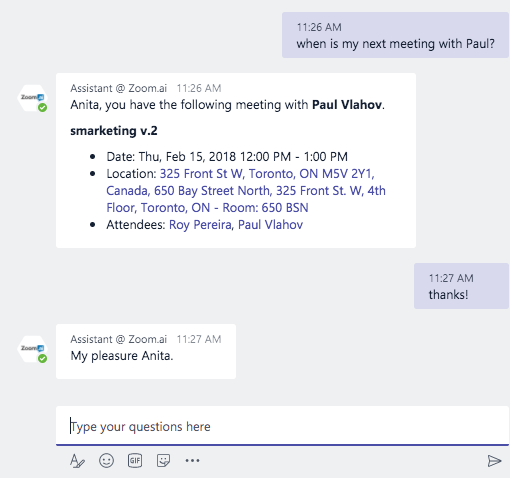 Added bonus: beyond just finding files, Zoom.ai will also pull key dates, events that correspond to the files you’re looking for. 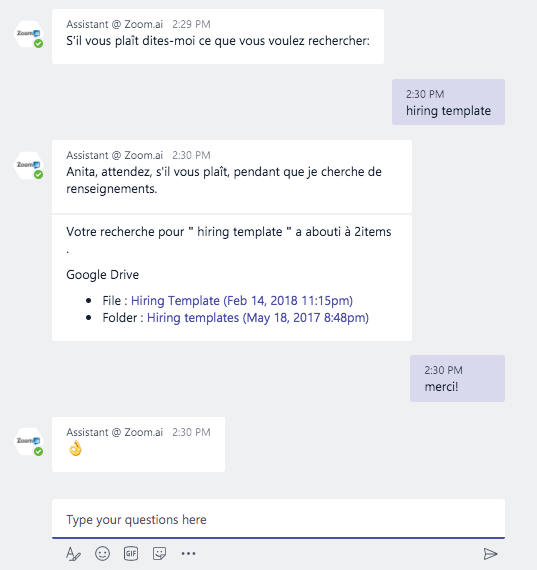 Thanks to the conversational nature of the Zoom.ai user-interface, you can ask your assistant to search using English, French, Spanish, or any of these languages.